Two years ago last week, my grandmother Mama Chila passed away. I’m not sure I can describe what an important person she was to the family. It was due to her pure determination that we were even reunited. After the war, she went back to El Salvador to look for her lost grandson. She asked questions people didn’t want to hear and had doors slammed in her face. She kept pushing until her dream of finding me came true. When we were reunited she played a crucial roll in bringing the two families together. The first letter she wrote to us after our initial visit was to my younger brother Derek. It started “Dear Grandson.” This was a very meaningful gesture because Derek was not related to her and the reunion had been hard on him. She knew the only way this would work is if we became one family. She set the tone right away. Since I can’t put into words what she meant to us, I want to share with you my last memory of her. 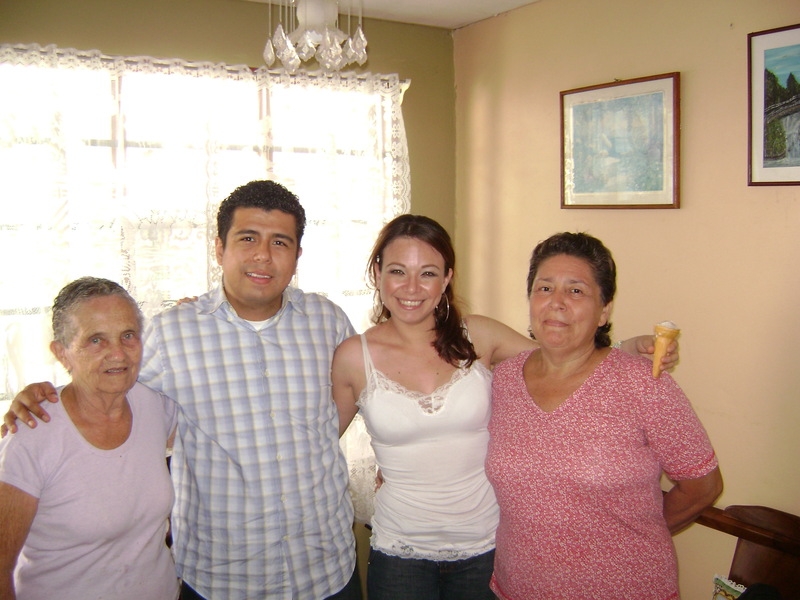 In May of 2008 I went down to Central America for three weeks. Mama Chila had started to get sick the fall of 2007. I wasn’t sure what to expect when I went to go visit, but I was pleasantly surprised to see her condition had improved. She was a little frail, but up to her old tricks, cooking, cleaning and doing chores around the house. I gave her a big hug and greeted the rest of the family. Somewhere in the back of my mind I knew this could be the last time I saw her. I’m pretty sure the first thing she asked me was if I was hungry. She would make a traditional Salvadoran dish called pupusas. Knowing that I was coming she had already gone to the store to get all the ingredients. Mama Chila and my aunt got to work right away. They must have been really good that day because I ate a lot. I had four for five for lunch. Then I had another two as a snack and three more for dinner. As if I knew this was the last time I would enjoy her cooking, I had more than my fair share. She loved to cook for me. I think it was her way of taking care of me. I had my own life in America and didn’t need anything from her. The one thing she could do for me, that she knew I loved, was to cook. I didn’t even have to ask. She was always ready when I came to visit and if I didn’t eat at least four she would ask if something was wrong. This was our relationship. We never talked much about life or about the events of the past. We just had those little moments together. I think they were special in their own way. After everything we had been through, the separation and the journey to reunite, the only thing we needed was that.